On Monday two members of Abahlali were attacked by unknown people in their Silver City branch in uMlazi. The two men, who are serving in the local Abahlali structure were abducted by a group of men and forced into a car with no registration number. They were then taken to the house of the local ward councillor. They were beaten and tortured for two hours at the home of the ward councillor by the same men that had abducted them. After this they were taken to the police station by these men. 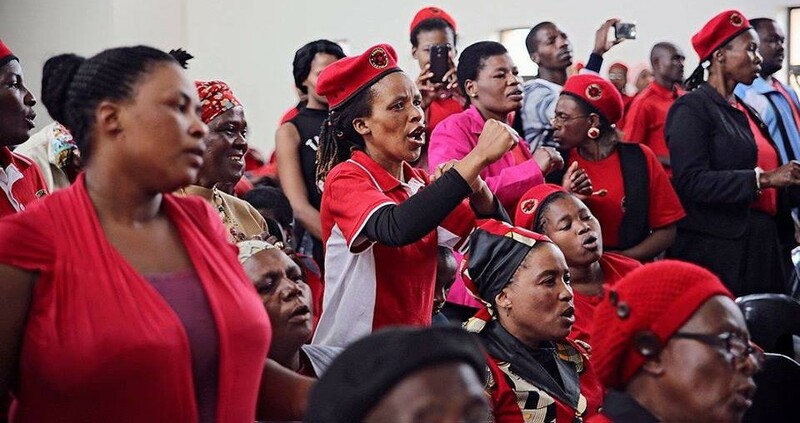 Abahlali baseMjondolo are a South African Shack dwellers movement - they have faced years of violent, often fatal, repression for organising in defence of their own homes. Yesterday two members of Abahlali were attacked by unknown people in our Silver City branch in uMlazi. The two men, who are serving in the local Abahlali structure were abducted by a group of men and forced into a car with no registration number. They were then taken to the house of the local ward councillor. They were beaten and tortured for two hours at the home of the ward councillor by the same men that had abducted them. After this they were taken to the police station by these men. These men claimed that they beat and tortured our members them because they were ‘stealing electricity’. Our movement supports Operation Khanyisa, safely made and maintained people’s connections to electricity. We also support people’s connections to water and, where possible the sewerage system. We are aware that the state considers self organised connections to electricity to be in violation of the law but we are willing to engage in organised civil disobedience on this matter. But if these men suspected our members of ‘stealing’ electricity why they did not report them to the police instead of abudcting and then torturing them? The police did not do any justice for our members. They refused to open a case of kidnapping and assault. When our members rushed to the police station to put pressure so that the case is opened they were teargassed by the police. These police have become politicised to the extent that it is clear that they are there to act as an armed force in support of the councillor and not to enforce the law. In fact they are willing to support serious criminal actions by the councillor and his thugs. This is not the first time that this councillor has been involved in criminal conduct against members of Abahlali. Yesterday the men made it very clear that they are looking for the chairperson of our Silver City branch, Lungelo Hlongwane, who has been receiving death threats from the ward councillor. The conduct of the councillor, his thugs and the police is criminal and fundamentally authoritarian. This particularly councillor has been reported in the Mayor’s office and he still continues to intimidate our members. This means that the Mayor is also complicit. This kind of abuse is not only happening in Silver City. In Cato Manor the Anti-Land Invasion Unit continued with their illegal evictions today. One of the homes that they destroyed belonged to Mlungisi Mokoena, who was previously shot in the both legs by the same unit. Today they abused him, threatened him and even broke his crushes and removed his bandages. This kind of cruelty shows the complete lack of moral value in the government. When people are afraid of the government it is a crisis. It is the government that should be afraid of the people instead. When a government disregard the Constitution, especially the one they have created we are in a crisis. When activists face murder and torture it is a crisis. A democratic government would rule by obeying the democratic mandates of the people. This government is a criminal, violent and oppressive force. We would like to appeal to all progressive forces to be in solidarity with our movement in these trying times. We fear that we are now returning to a situation in which we will again have to face death as happened in the 2013 – 2014 period when our leaders were killed. These police have become politicised to the extent that it is clear that they are there to act as an armed force in support of the councillor and not to enforce the law. In fact they are willing to support serious criminal actions by the councillor and his thugs.